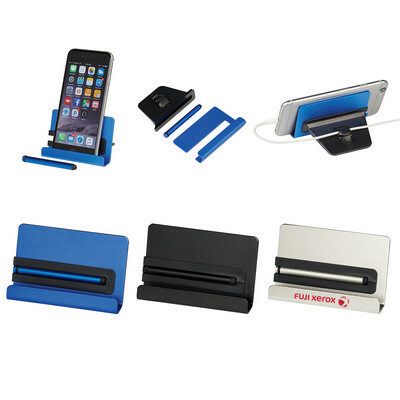 Features: For easy viewing get this aluminum phone stand which is suitable for most phone sizes. Comes with a stylus. Price includes : 1 COLOUR 1 POSITION PRINT. Setup is included.